Let’s face it. The IT world is one of the fastest-changing industries and these changes are having a very real impact on the world we live in. In order to stay competitive, managed service providers and value-added resellers are having to evolve their businesses to keep up with the marketplace. With hundreds of channel partner programs to choose from, you need to know if partnering with a specific vendor is a natural fit for your business model. When you partner with Exclaimer, you’re connected to the global leader in email signature management solutions with a strong reputation for excellence and innovation. If you’re searching for higher adoption levels and improved returns on your Office 365 deployments – look no further. Bundling with our email signature management solutions make for a much ‘stickier’ proposition – helping you to drive new revenue opportunities and win more business. We’ve also got channel partners in over 130 countries, so our channel partner program provides real value to partners around the world. That’s why we’ve designed our partner program to be simple to take part in. Wait! Why would my clients even care about email signatures? Now, with these stats in mind, is it not clear why email signatures would be important? Well, an email signature can be the first impression a new client gets of your business. Personalizing your signatures not only ensures all your contact details are to hand, it’s also a way of making your brand instantly recognizable. ACTS as a low-cost, high return marketing tool. But, why would my clients need a dedicated solution? Simply put, you can’t achieve any of the above goals if you can’t control them! Email signatures are difficult to manage on a corporate level. Users can tamper with them, important elements can be missed out, your IT department has to spend considerable time carrying out updates, your brand reputation can get damaged and you could even face legal action. This is where an email signature solution from Exclaimer comes into play. All email is guaranteed to get a full, dynamic and professional email signature when sent from any device, including Macs and mobiles. It also allows for easy management of other email signature elements such as social media icons, promotional banners and legal disclaimers. Exclaimer is the world’s leading email signature solution provider. Exclaimer products are used by over 50 million users in 150+ countries worldwide. Exclaimer built the first ever email signature solution in 2000. Exclaimer has been the recipient of 30+ industry awards and accreditations, and has been a Microsoft Gold Partner since 2007. The fact that Exclaimer email signature management solutions have a 95% customer retention rate means selling them is incredibly simple. Think how good it would be to have a guaranteed and steady revenue stream coming in every month all from selling simple value-added solutions that are great addons to Microsoft technology. Sound good? 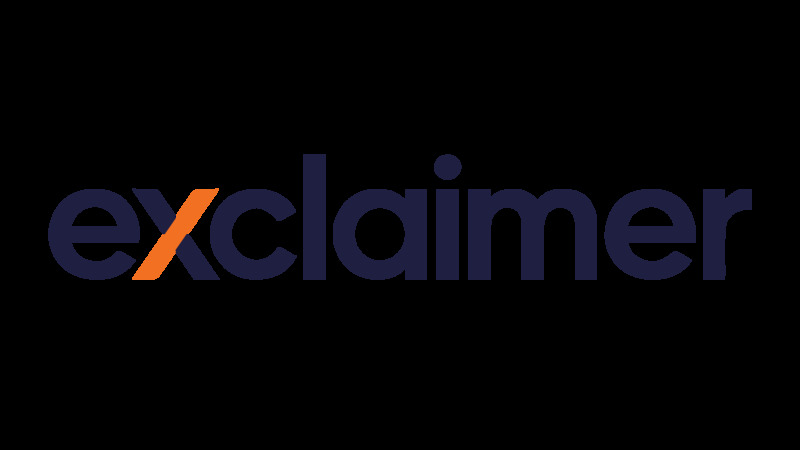 Then, head over to www.exclaimer.com/partners and sign up to become an Exclaimer Partner today. We guarantee you won’t regret it.